The reference design includes Qualcomm’s QCC5100 series Bluetooth audio chip, and has more or less all the necessary hardware and software required for developers to design and develop smart Bluetooth headsets cost effectively. Smart Bluetooth headset are about to become more common. At its 4G/5G summit in Hong Kong, Qualcomm unveiled a new end-to-end reference design for smart headsets that features a push-button activation for Amazon Alexa, which can be integrated with Android phones via the Alexa app. 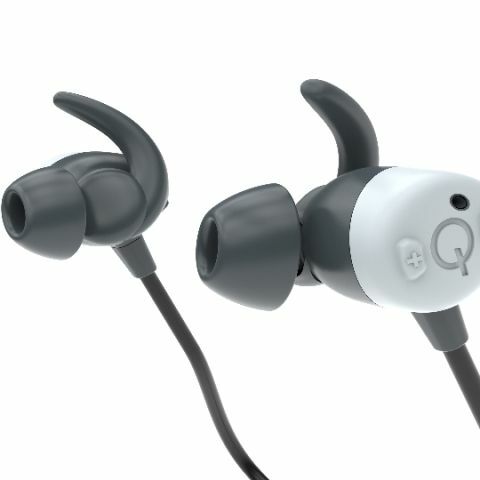 The reference design includes Qualcomm’s QCC5100 series Bluetooth audio chip, and has more or less all the necessary hardware and software required for developers to design and develop smart Bluetooth headsets cost effectively. Essentially, Qualcomm’s reference design can be used by manufacturers to develop their own products without having to invest in R&D themselves, thereby reducing the cost overheads of making a new product. Along with Alexa support, the reference design also has support for ultra-low power consumption for longer battery life. There’s also Qualcomm’s cVc noise reduction technology baked in it. Further, there’s support for Qualcomm’s AptX technology while manufacturers can also provide support for active noise cancellation. The Bluetooth smart headset reference design is a first of its kind with support for Alexa Mobile Accessory Kit. It’s a protocol designed by Amazon to run Alexa over Bluetooth via the Alexa app. As a result, developers will not have to write a chunk of code to integrate Alexa or to add a communication hardware beyond Bluetooth. That also helps accelerate development and reduce cost. Qualcomm has been developing Bluetooth audio chips for over 15 years now. The US-based company claims the chips are used in audio devices from virtually all consumer electronics brands. The new QCC5100-series SoC ensures low power consumption and longer audio playback. The SoC also includes a dedicated application processor sub-system, dual DSP architecture and a audio development kit to allow manufacturers to makes differentiated audio products. Is Wibree going to rival Bluetooth? Wibree going to rival Bluetooth. Are u going to test ur site once ? Want To buy Gaming Headsets Till 8k!